Give a gourmet taste of winter with a tower of our most popular treats – a mix of salty and sweet and our signature fresh-baked cookies. 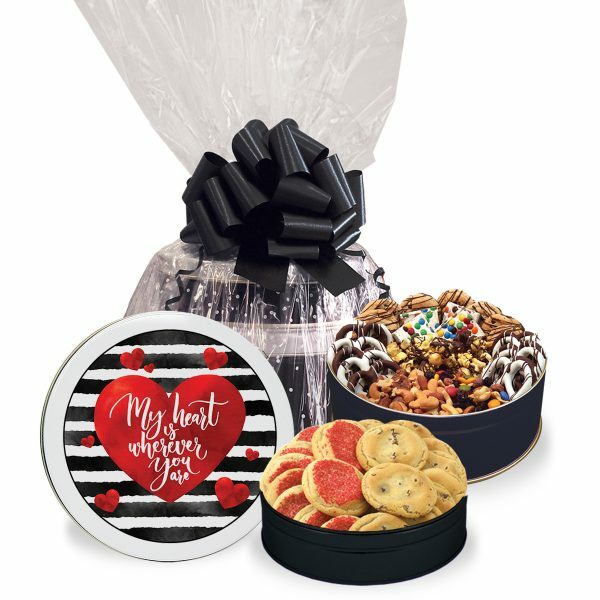 The Valentine Gourmet Holiday Gift Tower is an elegant, wow-worthy, decadent gift! 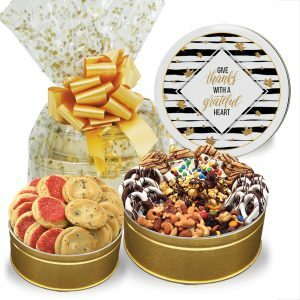 Give a gourmet taste with a tower of our most popular treats – a mix of salty and sweet combined with our signature fresh-baked cookies. Choose a beautiful stock design like “My Heart is Wherever You Are”. 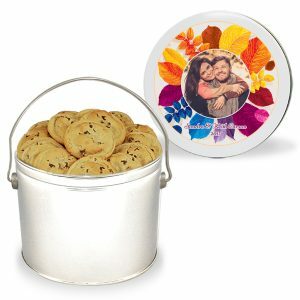 Or you can personalize your tins with your own picture or message in one of our Valentine’s Day themed templates. 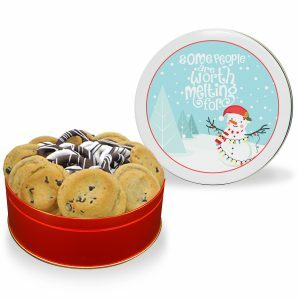 Sweet & Salty Chocolate Explosion – Large Tin – 8 dreamy drizzle chocolate chip cookies, 4 oz. candy bark, 12 mid-size chocolate pretzels, 8 oz. sweet & nutty trail mix, 4 oz. chocolate drizzled toffee crunch popcorn and 8 oz. fancy mixed nuts. 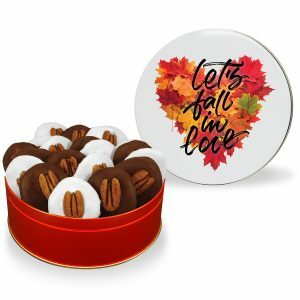 Gourmet Cookie Assortment – Regular Tin – 10 of our signature, fresh-baked gourmet chocolate chip cookies and 10 fresh-baked gourmet red sugar cookies.